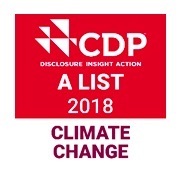 The businesses blazing a trail on environmental issues are named today as CDP, the non-profit global environmental disclosure platform, releases its prestigious annual rankings. The announcement comes as the opening of the World Economic Forum Annual Meeting in Davos today brings together international leaders for a week of high-level discussions on the future of the global economy, with a key topic being the threat ecological challenges pose to economic development. The (semi) Dutch companies ING, Philips, RELX Group, Signify and Unilever are on the A-list for their action on climate change. Hey Buddy!, I found this information for you: "World’s top green businesses revealed in the CDP A List". Here is the website link: https://www.duurzaam-ondernemen.nl/worlds-top-green-businesses-revealed-in-the-cdp-a-list/. Thank you.